The Darkwing has been around for decades in Australia in its most common form known previously as a “Greywing Yellow”. The problem with the old name was many fold. Firstly, the bird is not a true Greywing. Secondly it was only one of many different varieties which were all called “Greywing Yellows”. Thirdly, depending on what varieties and colours were crossed into them, you end up with birds that could have black markings, dark grey markings or even brown markings, none of which were Greywings, despite their name. Some combinations of Darkwings can also look like Greywings but are not Greywings. Complications occurred when poor examples of genuine (but pale) Greywings and heavily suffused Dilutes were also called “Greywing Yellows” and bred into Darkwings. Other varieties such as various forms of South Australian Blackwing were also called “Greywing Yellow”. Depending on where you lived and who taught you, any or all of these different varieties were all accepted as “Greywing Yellows”. Having created all the chaos and confusion above, what then is the true Darkwing. Darkwing is a variety which affects markings and tail colour. It has little or no effect on body colour. There can be a Darkwing form of all known varieties and colours, BUT it is only visible when combined with either Dilute, Clearwing or Greywing. All other varieties tried to date mask Darkwing. Darkwing is a variety which can be thought of as reinstating black pigments to almost normal levels in those three above mentioned varieties which would normally have reduced levels of black pigment (i.e. pale grey markings). The most obvious and striking of these combinations is the Darkwing Dilute Light Green, a bird with a yellow body often suffused with green and very dark (approaching black) markings. It is this bird which was called the “Greywing Yellow”. If Cinnamon is further added to this bird then a yellow bird with brown markings results and this was previously called “Cinnamon-wing Yellow”. In some cases, Cinnamon forms of heavily suffused Dilutes showing pale brown “ghost markings” were also called “Cinnamon-wing Yellows”. These latter birds are not Darkwings. Darkwing combined with a Clearwing produces a bird which resembles a heavy marked Greywing. Darkwing combined with Greywing produces a bird which again resembles a Greywing but has extremely dark markings. Darkwing does not seem to affect any other varieties yet tested. A Darkwing Normal Green looks like an ordinary Normal Green. I did once breed a Darkwing Albino and again it looked like an ordinary Albino so it appears not possible to breed an Albino with black markings using Darkwing. I have not tried using Darkwing on pieds but I very much doubt that it will have any effect as again, I did by coincidence once breed a Darkwing Dilute which had a small “pied” head spot, which intimates that a pied marking overrides a Darkwing marking. These results involving Ino and pied-like features are not surprising because the mechanism for altering black pigment in these varieties is completely different to the mechanisms involved in Dilute, Greywing and Clearwing. It is only in recent years following my own breeding experiments that it was realised that other forms of Darkwing other than Dilute could be bred. The Dilute form is still the most desired type and the only type being actively bred. History of the Darkwing In 1986, I was introduced to Andy Mason of Merewether (Newcastle), Australia through his cousin Joe Wilmott who I knew well. The following is Andy’s story as told to me by himself for publication at that time in the Newcastle Budgerigar Club Bulletin (of which I was editor). ‘Andy Mason and his younger brother “Nook” were keen bird breeders as lads, which no doubt was instilled in them from their father, Andrew C. Mason, well known as a champion racing pigeon breeder. Their father was renowned for his knowledge of bird breeding and extensive library on the subject. He wrote sometimes for publications in England and Canada etc. The boys used to save all their money to spend on birds. Andy, an apprentice carpenter, used to make cages for a bird shop which was two or three doors down from the Civic Theatre in Newcastle. One particular Friday night he delivered some cages to Fred Barker’s bird shop and he noticed that the dealer had just received a consignment of several hundred wild budgerigars, which had been caught in the country. He chose a couple of pairs from this lot, these particular birds because they were slightly bigger than the rest, (something that his father had told him to look for in birds) and they were also a slightly different colour green to the usual. Andy described them as being a pale green about the colour seen on Silvereyes. These birds were subsequently mated and in one nest of eight or nine youngsters, one was noticeably different to all the rest. This one bird had a yellow body with the normal yellow and black wing markings of a green bird. With their father’s guidance and knowledge, they were able to use this bird and its close relatives to produce more of these birds. They bred these birds for three years, then wrote to the major society in Sydney in order to give the variety a name. The Society asked to see some of the live birds and a pair was sent. The Society decided to call the birds Greywing Yellows; this was in about 1933-4. After refusing to sell the pair, one bird was returned and the other unfortunately died while in Sydney. Andy and his cousin next door, Joe Wilmott (himself responsible for the development of the Harlequin in Australia many years later) then took some of the Greywing Yellows to Sydney, to compare their birds with those being bred by the well-known Sydney breeders. Not one breeder had seen or heard of anything like them. During this aviary tour, they came across breeders (one named Johnson and another, whose name has been forgotten, who lived in North Sydney) who were breeding birds with grey wing markings but they had nothing like the black markings of the Newcastle birds. Joe Wilmott also bred this same family of “Greywing Yellows” (although not continuously) up until his death in 1987. Naming Conventions The original name of “Greywing Yellow” was in fact the Darkwing’s greatest disadvantage. It was thus bred by many people as if it was a Greywing and was even standardised in Australia as another Greywing colour just like Greywing Light Green, Greywing Dark Green etc. Cinnamon forms of the bird were also standardised as another colour of Cinnamon. Despite winning many major awards at shows they were not improved at the same rate as other varieties and became less popular as exhibition birds. Added to this decline in popularity was a bigger problem that in trying to breed them like Greywings led to many unexplained breeding results and physically less of the birds being produced because there were no absolute breeding rules known for the variety. Only a couple of “standard” matings were capable of consistently producing the Darkwing Dilute. By the late 1980’s the Darkwings became quite rare and were only kept going by a mere handful of breeders. The majority of these breeders were the ones who used Dilutes and Cinnamon Dilutes in their breeding programmes and rejected Greywings. One such breeder to reject the Greywing theory was Frank Amos of Sydney (formerly of Newcastle) who believed that a type of Clearbody factor was involved. He actively promoted the Darkwing Dilutes as a Clearbody. The “Clearbody” term he gleaned from the various forms of blacked marked yellow bodied clearbodies in America, which at that time were not in Australia. All of my own current Darkwings are descended from two of Frank’s birds. During one of our conversations, I suggested that he should call them “Australian Clearbodies” instead of just “Clearbodies” in order to differentiate them from the American forms (Texas, Easley and Terraneo). The term “Australian Clearbody” slowly gained some momentum among the breeders but not the regulating society in charge of the official written Standard. After a lengthy experimental breeding programme, I later discovered the true breeding rules of the variety. From this came proof that the variety was not a clearbody mutation but merely a marking variety that could be incorporated into several other varieties, only one of which broadly looked like a clearbody. The “Australian Clearbody” term was no longer appropriate as some forms did not look anything like clearbodies. As the Darkwing variety is essentially a markings variety which causes darker markings than usual then I proposed the name “Darkwing”. “Blackwing” was also not appropriate as only some of the birds had genuinely black markings and there was already a rare variety in South Australia called Blackwing. “Greywing” was certainly not appropriate. The term “Darkwing” is now slowly being adopted as the standard name for this variety. Unknown to myself and by sheer coincidence E.W. 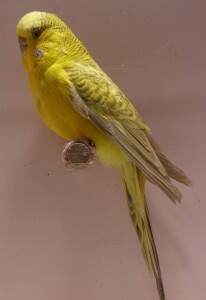 Brooks in his book “The Development of Color in Budgerigars” published in 1955, when discussing in general yellow birds with dark markings, also proposed that such birds would be better called “Darkwings”. Theories of Inheritance The original theory of a “Greywing Yellow” being a type of Greywing has never stood up to genetic theory nor actual breeding results. When true Greywing Greens are mated to true Dilutes the offspring are Greywing Green/Dilute. No matter how one inbreeds or outcrosses these birds only 3 types of offspring are possible, Greywing Green, Greywing Green/Dilute and Dilute Green. It is not possible to get a bird with near black or black markings on a yellow body from these birds. Frank Amos developed his Clearbody theory along the lines that the “Greywing Yellow” was actually a Clearbody mutation which was also a multiple allele of the Greywing, Clearwing and Dilute alleles. This theory initially had some merit and actually did predict quite well the progeny from all the “standard” matings normally used. In this theory Clearbody was dominant over Dilute. Clearbodies could be double factor or single factor whereby all single factor birds contained one Dilute allele. In this theory, the interaction of Clearbody with Clearwing was not known and the interaction with Greywing was dubious. In an attempt to prove Frank’s multiple allele theory I embarked on a series of experimental matings involving Clearwings and later Greywings. I already had many years of data on Dilute matings. As a result of this programme I bred several birds which contained genes for Clearwing, “Clearbody” and Dilute simultaneously. Under the current genetic rules for multiple alleles, a bird cannot simultaneously contain three alleles. In short, in an attempt to prove Frank’s theory I had actually disproved it. This meant that the gene causing this variety was not a multiple allele but an independent autosomal gene. Furthermore it not only affected Dilutes but also Clearwings and Greywings. Hence my alternative theory of the Darkwing gene was born. After many other experimental matings using the Darkwing gene model a clear picture evolved. This model fitted perfectly all previous matings involving hundreds of birds in many combinations. · The Darkwing gene is a partial dominant modifier gene. 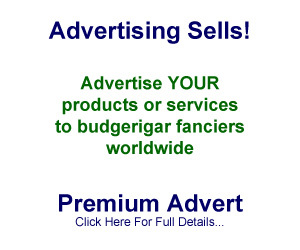 · As a partial dominant, it can be had in single factor and double factor which are slightly different visually. Single factor birds have very dark grey markings. Double factor birds have markings which are close to black. · As a modifier gene, it modifies the action of Greywing, Clearwing and Dilute genes (i.e. makes the markings darker than they normally are). · The Darkwing gene appears to have no effect on other varieties except Greywing , Clearwing and Dilute. · The former “Greywing Yellow” is actually a combination of two different varieties, i.e. Darkwing (in either single or double factor) and Dilute. · The former “Cinnamon-wing Yellow” is actually a combination of three different varieties, i.e. Darkwing (in either single or double factor), Dilute and Cinnamon. Double factored birds of this type have darker brown markings than single factor birds. · The Darkwing Clearwing and Darkwing Greywing combinations, while genetically interesting can easily be confused for Greywings and as such are not recommended to be bred. · Variation in body colour in Darkwing Dilutes is not caused by the Darkwing component but caused by those faults commonly associated with the Dilute component. Dark Factor birds (particularly Darkwing Olive Dilute and Darkwing Mauve Dilute) and those birds carrying very heavy suffusion can also be confused for Greywings. 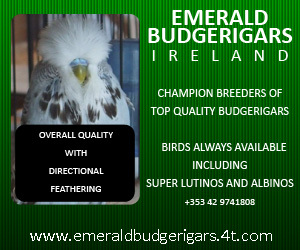 It is recommended therefore that the Light Green and Sky Blue forms be bred for preference. · Cinnamon, and to a lesser extent Opaline, generally reduce body suffusion in Darkwing Dilutes. Typical Matings The preferred type of Darkwing for the exhibition bench is the Darkwing(df) Dilute Light Green. Where classes allow and assuming you like brown markings, then the Cinnamon Darkwing(df) Dilute Light Green is sometimes an even more desirable type due to its usually brighter yellow body with reduced suffusion. Double factor Darkwings are preferred because of the darker (in some cases black) markings. Dark factor birds are not preferred because they usually show much more green suffusion and thus lack the desirable bright yellow body colour. Green series birds (i.e. yellows) are preferred over Blue series birds (i.e. whites) as, all other things being equal, white birds show blue suffusion more noticeably than yellow birds with green suffusion. I personally do not use Grey factor birds in Darkwings as Grey tends to make the yellow colouring very dull. It should be noted here also that many Darkwing Dilutes do have pale greyish cheek patches instead of pale violet and that this pale greyish colour is NOT a sign of Grey factor birds. Some typical matings used in the production of Darkwing Dilutes are below. The use of Normals for the quicker improvement of size and type features can be used, but to the detriment of good colour. As the Darkwing Dilute has Dilute as one of its component varieties then all the traits and issues normally associated with breeding Dilutes still apply. Lots of unnamed minor colour modifier genes assist in the production of good coloured exhibition Dilutes, and when paired to Normals many of these modifiers are lost or cannot be seen. In addition, Normals masking Darkwing appear the same as Normals not carrying Darkwing, so some wastage can occur. In short, while the use of Normals may improve size and type quicker, it takes more skill to maintain good colour features. Using Dilutes takes longer to improve size and type but is easier to maintain good colour. 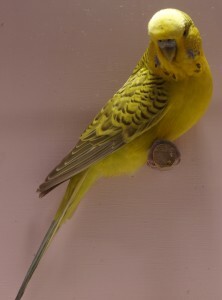 Ken Yorke is an open exhibitor who has bred budgerigars for 40 years in the Hunter Valley in Australia. He has bred and won on the show bench with almost every variety that exists, specialising in extremely rare and new varieties. He is the author of a book, numerous published articles and developer of software for bird breeders. He is the Secretary of the Newcastle Budgerigar Club and recently retired as a budgerigar judge in his home state of New South Wales. He currently runs about 250 birds in a steel aviary complex 18m x 9m consisting of 9 flights and 34 breeding cabinets, producing about 200 chicks a year in numerous varieties.